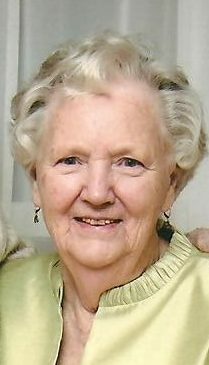 Surrounded by the love of her family, Florence Mary (Quan) Malone passed peacefully away at her home on Friday, June 1, 2018. She was pre-deceased in 2011 by her husband, Gerald B. Malone. Mourning her loss are her six children: Rosanne (Basil) Delaney, Ted (Alice) Malone, Brenda Malone, Gail Malone, Paul (Beverly) Malone and Brian (Paulette) Malone. For the past seven years, Gail was the devoted companion and caregiver who made it possible for Mom to have her wish of living out her days in the comfort of her own home. Left with fond memories of “Nanny” are her grandchildren: Stephen Delaney, Nancy Delaney-Morton, Valerie Malone, Jennifer Malone-Earle, Craig Richard, Aimee Mitchell, Meaghan Malone, Allison Malone, Stephanie Malone and Claire Malone. In addition, she will be missed by her great-grandchildren: Eamon and Eli Morton; Derrick and Michael Malone-Cull; Ethan and Amelia Richard; Stephen Earle, Mackenzie Mitchell, her step-grandchildren: Carol-Anne, Jennifer, Tyler and Makayla, and nieces and nephews throughout Canada and the United States. Resting at Carnell’s Funeral Home, 329 Freshwater Road on Sunday June 3rd and Monday June 4th. from 2-4 p.m. and 7-9 p.m. A Mass of Christian Burial will take place at St. Pius X Church, Smithville Crescent, on Tuesday June 5th. at 9:30 a.m. with interment to follow in Mount Carmel Cemetery, The Boulevard. Flowers will be gratefully accepted or donations may be made in her name to the charity of one’s choice. I am so sorry to hear of your Moms passing. Bless her heart, such a beautiful person, inside and out. I can only imagine that the next few days are going to be difficult, you are in my thoughts and prayers. I am so glad that Aimee is there with you. Brenda and Rosanne: Don sent me the news of your mother’s passing and I was so sorry to receive it. I have very fond memories of your mother as do other kids from our side of the Court. She was a modern woman who could drive – wow! And, didn’t mind chauffeuring all of us around at times. I remember popsicles made in ice cube containers and drives to middle Cove for a swim or at least a paddle. She would be the only adult watching over us all. Imagine that happening today. Such things allowed us in a way to be free spirits. Phil and I send our sincere condolences to all the family. Brenda: Needless to say, we are thinking of you and sharing in the sadness of losing someone so important in your life. So glad to read there is a circle of caring around you. We wish you strength and comfort in the days ahead. Your Mom’s life truly made a difference that was felt by many and will be remembered for a long time to come. My earliest memories are of playing with you and always being so welcome in your home. Your Mom made delicious (and if I remember correctly, award winning) homemade bread and was a super cook. She also had the most wonderful laugh!! 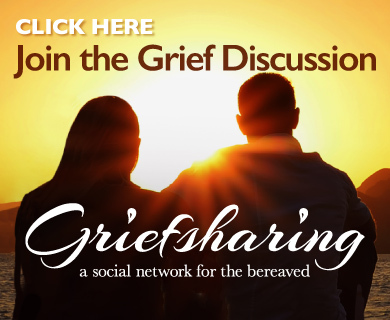 I hope these, and your own cherished memories, will help you through this difficult time. Rosanne: Just wanted to send condolences to you and family. It will be a hard few days and we will be thinking of you all. Your mother was a gracious lady and I enjoyed any time we were together. You will surely think of her every day and hold your memories close. Rosanne, It was with great sadness that I heard of your Mom’s passing. She was a beautiful, charming and kind woman. I will always remember her fabulous smile and infectious laugh. She was just the sort of person you would pick to be your friend’s mother. I always loved going to your house and always felt welcome there. Your mother was a large part of that. Please pass on to your sisters and brothers my sincere condolences. Rosanne and the rest of the Malone Family: This Is truly sad news. Your mom was such a wonderful person, she was always so pleasant. She certainly raised an amazing family. I have so many memories of being at your house, and all of us piling into her VW van. She had the patience of Job! Bern & I send our deepest condolences to you and your family. Rosanne: My sympathy on the passing of your mother. Thank you for letting us know – we all had a long connection to each others families – something precious about St. John’s and Mercy and HHM. I am sorry you did not get to her before she died, but it is good that Gail was able to make it possible for her to stay at home. The death of ones mother is a very deep loss no matter when it occurs. Please know that you and your family will be in my prayers. Rosanne, Sincerest sympathy to you and your family. It is never easy no matter what our ages! Rosanne I am so sorry to hear about your Mother. I am away at this time…in Greece with our choir (Holy Heart of Mary Alumnae Choir) and won’t be home until June 10. Please pass on my condolences to your family. Rosanne and Bas: I was very sorry to read the news about your dear mom passing away. Our heartfelt condolences to you and your loved ones! It is not an easy time to say good-bye to someone so close to you! We hope that you have many wonderful memories of your mom and the special times you had together…may those times have a special place in your heart! Thinking of you and wishing you special comfort and peace! Rosanne: So sorry to hear about your mom…but glad she went peacefully. Will be thinking of you during this week. Rosanne: I’m so sorry to hear of your mother’s passing. We’ve both been fortunate to reach our own senior years with our mothers still part of our lives and I know you will feel a great loss. Please extend my best to the rest of your family as well. Saddened to hear of the passing of your Mom. I was so sorry to hear of your Mom’s passing. Although I was unable to attend the funeral home or the funeral, please know that I am thinking of you all. I know you have a lifetime of wonderful memories to sustain you in the days ahead. Rosanne and family. My deepest sympathy on the passing of your mom. So sorry to hear of your Mom’s passing. Florrie was an amazing, kind and wonderful lady whom I will always remember with her sweet laughter and beautiful smile. I fondly remember the many hours shared in her company at our home when your Mom and Dad were playing bridge or years ago in Florida when they would all spend so many glorious days together at the beach. What a wonderful group of friends they all were and they a had such wonderful times together. As the last of the group I am sure that Florrie was warmly welcomed by your Dad and all her old friends in heaven. May you all keep,the beautiful memories of your Mom close to your hearts in the days and weeks ahead. Our thoughts and prayers are with you all. My your hearts be filled with good memories. So sorry to read of your Mom’s passing. Our thoughts and prayers are with you at this time. Cherish your beautiful memories. God’s Blessing! So Sorry On The Passing Of Your Mom. Such Comfort You Brought To Her Life. So sorry to hear of your mom’s passing. Losing a loved one is never easy, but in the days to come, I know that happy memories of good times spent together will bring you much comfort. I was so sorry to hear of Mrs. Malone’s passing. She was such a pleasant woman, and I thoroughly enjoyed coming to see her. She always had a smile and a laugh for me. Your love and care for her shone through your every action. Paul and Family…..sorry to hear of your Mom’s passing….I hope you are able to cherish fond memories during this time of sorrow. Roseanne and all the Malone family very sad to hear of your mom passing. May it comfort you all knowing that she is now with your dad . You were very lucky to have your mom with you for many years .she was indeed a very gentle and caring lady .loved talking to her over the years when I went home for visits . Our thoughts and prayers are with you all at this time . Love Marion and Frank Murphy. Our thoughts and prayers to the Malone family. Florrie and her husband were good friends and relatives to our parents Clarence and Maureen Davis. Florrie will be remembered with fond memories. OUR CONDOLENCES TO THE ENTIRE MALONE FAMILY, WE SEND OUR THOUGHTS AND PRAYERS TO YOU ALL FROM DENVER , COLORADO. Gail,I’m so sorry about your loss.Your Mom was a wonderful Lady.I’m sure she’s at peace and reunited with your Dad. My thoughts and prayers are with you and your family.God bless. Gail, So sorry to here of your Mom’s passing, she was a beautiful lady. My thoughts and prayers are with you and your the family. CONDOLENCES to all the Malone extended family circle at this sad time. Regards to Roseanne and Basil Delaney. Gail, I’m sorry to hear of your mom’s passing. She lived a long life and now she and your dad are together again, watching over you all. Please accept my sincere condolence on the passing of your dear mom. May she rest in God’s peace. I send you my sincerest condolences and warmest thoughts regarding the passing of your Mom. A beautiful, charming and witty woman, to say the least. She always put a smile on my face. I have no doubt that the memories you’ve all created together with your Mom will help you traverse through these most difficult of days. Our thoughts, prayers and Sincere Sympathy are with you at this difficult time. May all the pleasant memories you have shared be a comfort to you. My condolences on the passing of your Mom. I remember her as a very kind and caring lady. Our thoughts and prayers are with you. So sad to hear of the passing of your loving and beautiful Mom. My deepest condolences to you and your families at this difficult time. Keeping you all in my thoughts and prayers. Heartfelt condolences to my Malone cousins. We were deeply saddened to learn of Aunt Florrie’s passing and will always remember her with love. May you be comforted by the many wonderful memories she has left you. My condolences to my Malone cousins and your families on the passing of you wonderful mother…She was a truly amazing woman and has left you so many beautiful memories to cherish and hold in your hearts forever. Paul and family, – Very sorry to hear of your mother’s passing but hope that you are all taking time to remember and cherish the wonderful memories of a wonderful life. Thinking of you all at this difficult time.